The Stalin says meme has provided fertile soil for numerous variations. Josef Stalin was an all around not nice guy. He was responsible for the deaths of millions, largely thorough starvation and suffering. He is readily associated with Communism and all of its inherent flaws. It is interesting to note the irony in that much of the Communist propaganda machine relied on posters and graphic art that is similar in design to many memes. This makes for a large amount of humorous material stemming from imagined Stalin-based quotations. Many people have generated their own Stalin Says memes, and there are a number of witty examples out there. 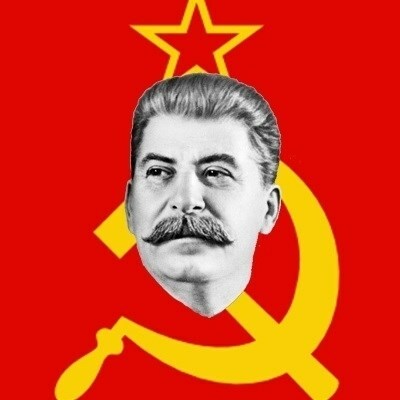 The meme features the head of Stalin with the proverbial hammer and sickle Communist logo behind him on a solid red background. The picture is taken from one of Stalin’s propaganda pictures where he was lionized by artists, so it has extra effect. Most of the quotes are based on humorous takes on the Communist agenda combined with popular culture references. Notable quotes from the Stalin Says meme include: “The redistribution of wealth = 1 for you, 2 for me”, and “In Russia, Meme generates you”.